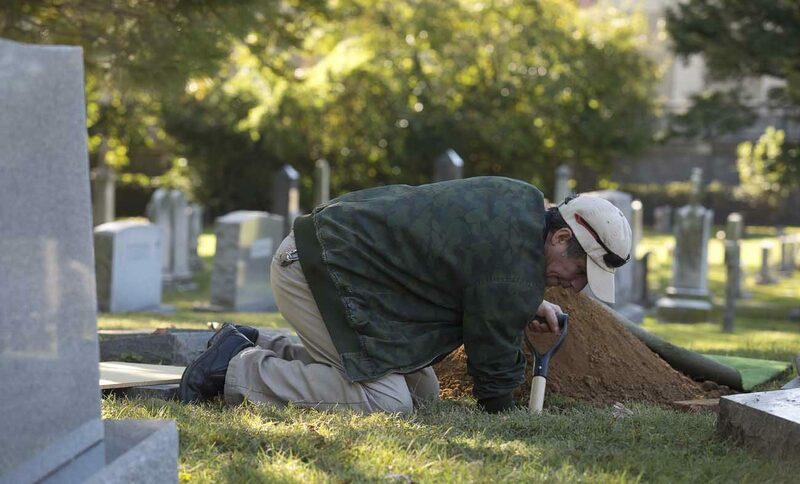 WASHINGTON (CNS) — Often overlooked amid issues of grief and loss in Catholic families after the death of a loved one is that thousands of parishes across the United States have their own parish cemetery. Of the 2,500 people buried there, “there’s just 200 people that I don’t know where” they are, Fisher said. “Before 1950, before vaccinations and stuff, the child mortality rate was pretty high. There are children who would have buried from the flu epidemic. Wooden crosses do not survive 100 years.” He’s also skeptical of a report of a burial at the cemetery in a year that predates the parish’s founding. Archbishop Hunthausen was so impressed with the report, Sankovich said, that he sent it to his fellow bishops. Sankovich now hangs out his own shingle as a Catholic cemetery consultant, working out of Tucson, Arizona, traveling roughly every 10 out of 14 days. He also produced a 170-page manual for parish cemeteries. Most of my Family is buried at St. Mary’s in Alexandria. Grew up six blocks from there. Went to St. Mary’s Parochial on Green Street. Was an Altar Boy too.